Locally and internationally recognized as the premier responsible trekking company on Kilimanjaro, Fair Travel™ exists to offer an affordable alternative to the exploitation of porters, cooks and guides making sure all expedition staff receive agreed on fair salaries for their hard work. Fair Travel™ porters enjoy the highest salaries paid consistently in the history of Kilimanjaro. This saves you as climber $250-400/person as cost of tipping is included in the expedition price – without other hidden costs or force of tips. 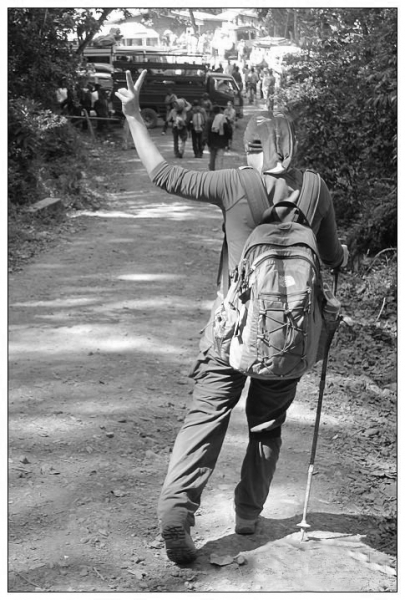 This makes the whole trekking experience much better as you will not be treated like an ATM machine, forced to open your wallet on the mountain, to pay ‘tips’ (read salaries) to people who should have already been paid by the company that hires them. The norm in all other operators is to offer you lower prices to get the business and then hand over the responsibility of salary payment on to you as customer, called ‘tipping’. This puts all staff involved in a vulnerable dependent position leading to insecurity of income, change of local culture and behavior and legally against universal human and worker rights in all developed societies. You will stand up for justice and human rights when you choose Fair Travel™ to watch the sunrise from the top of Mount Kilimanjaro. 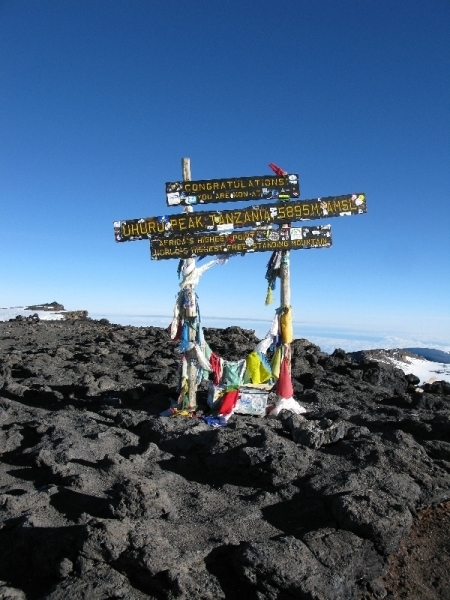 The adventure of climbing Kilimanjaro, the Roof of Africa, is an experience you will carry for the rest of your life. It is the tallest free-standing mountain but the highly accessible summit attracts amateur and professional climbers from all over the world. 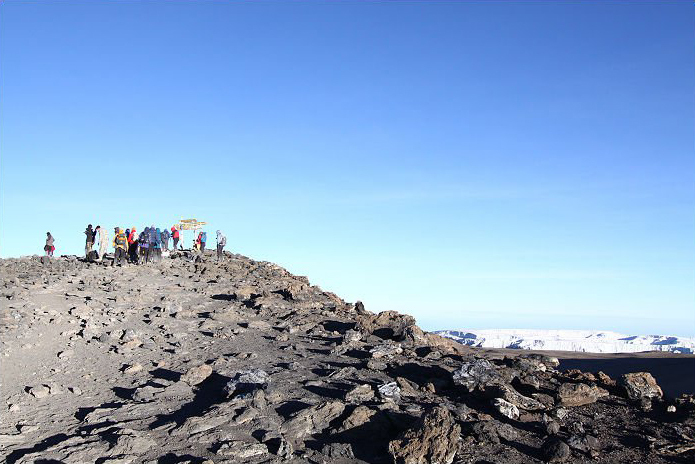 With preparation, focus and motivation you can beat any mental or physical barrier to reach Uhuru Peak at 5895m/19341ft. 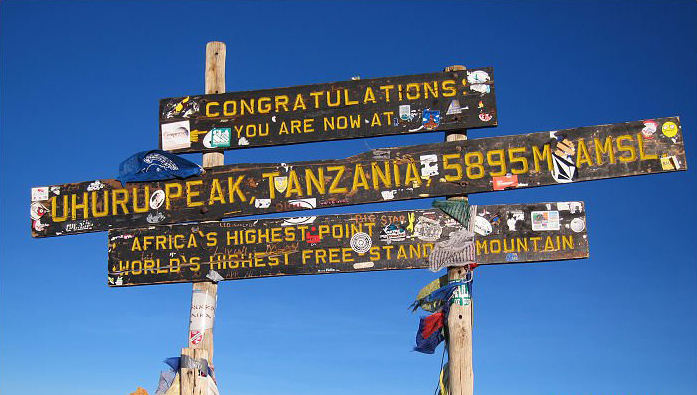 It is the ultimate adventure in Africa, part of the world’s 7 summits, and extremely rewarding when you reach the top and feel the sense of accomplishment. Choosing Fair Travel™ adds value to your trekking experience as none of your team members are exploited allowing you to feel part of the team rather than a money machine milked for tips. So be sure that when you choose Fair Travel™ you will have a direct positive impact in your own life as well as in the lives of the people that help you reach the top and back on equal terms. Safety comes first when climbing any mountain. Therefore, your experience, personal physiology and health condition must be considered in the choice of route and number of days. In general, spending more days for acclimatizing allows you to enjoy more of nature and increase the probability of success. Our gear list is also provided in the program we create for you together with additional useful information, to help you prepare a successful expedition with safety and quality of experience. Our Kilimanjaro Head and Assistant guides are licensed and professionally trained to take you safely to Uhuru peak, and back. Our Head guides have an experience of 50-150+ successful summits, First Aid experience and some hold advanced WFR qualification. 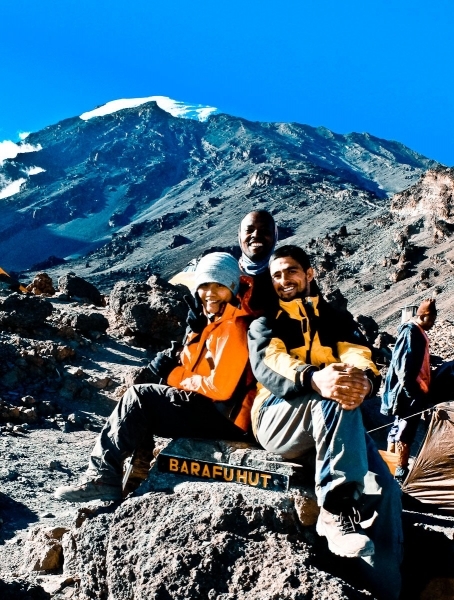 We work with a hand picked crew of experienced Guides, Cooks and Porters who for the past 5 years with Fair Travel™ have proven their strong, genuine and friendly characters combined with their passion for Kilimanjaro and social justice. These are the people involved in your tourism experience and they contribute to the quality of experience, link you to Kilimanjaro culture and provide that extra motivation, when needed during the expedition, for you to reach the summit and come back – safely. Kilimanjaro porters are the heart and soul of the mountain. There are few experiences as humbling as being passed by porters on a climb. They carry food, water and equipment to ensure a comfortable climb and increased summit success rate. They are certainly among the hardest working men in Tanzania and we make sure they are rewarded properly for their efforts. Fair Travel™ porters receive $18/person/day, which is the highest salary levels and un-preceded in the history of Kilimanjaro expeditions. We are proud of this fact and know that this is a fair amount, agreed upon by our staff, compensating for the hard work performed! Northern Circuit, Lemosho, Machame, Rongai, Shira, Marangu and Umbwe are the routes to choose from depending on your preferences, time and experience. 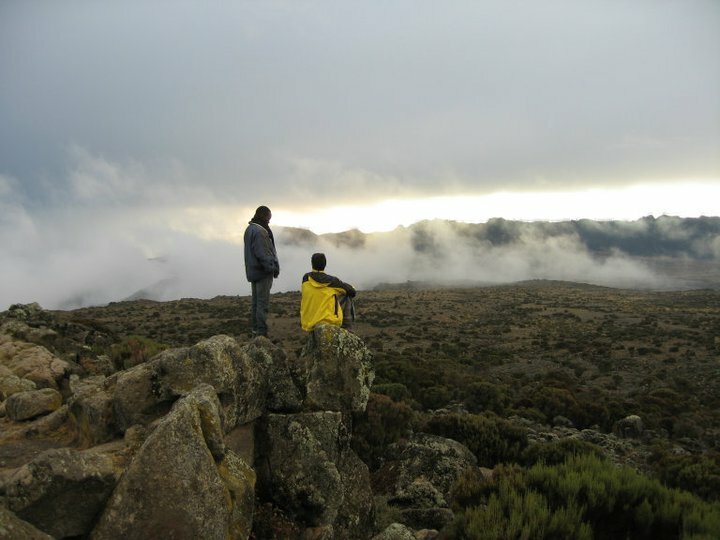 We highly recommend Machame or Rongai route for 7 days or Lemosho route for 8 days and Northern Circuit route of 9 days. These recommended routes allow great acclimatizing opportunities, highest chances of summit success and varied scenery of the mountain each day boosting motivation. Marangu is the only route offering sleeping huts in dormitory style. Other routes have designated campsites requiring mountain expedition tents and camping equipment. Tip dependency also encourages risk-taking behavior and has been a contributing factor to compromise safety for guests – sometimes even with fatal results. This is because the guides could push climbers beyond their safety zones in order to make them summit and thereafter earn more tips. None of our guides, cooks or porters are, or will ever be, dependent on tips! This is not only about strengthening human and worker rights, it is also the best approach in regards of safety and responsible travel experience for all parties involved in your mountain expedition. Join us hand in hand to end exploitation of staff and tip dependency. 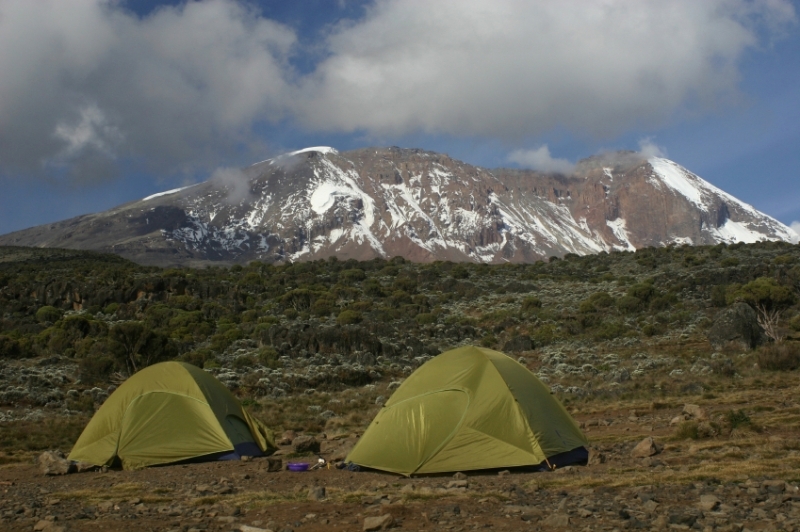 Book your Kilimanjaro expedition with Fair Travel™.